Destructive narcissism is recognized increasingly as a serious impairment to good corporate leadership and ethical conduct. 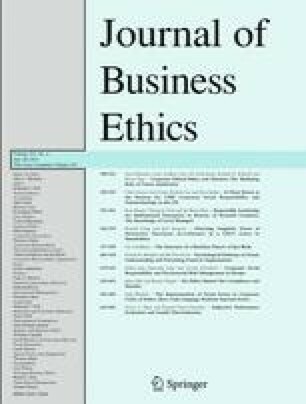 The Chief Executive Officer’s letter to shareholders (an important formal corporate communications medium) has potential to provide linguistic traces of destructive narcissism and insight to aspects of corporate leadership and the ambient ethical culture of a company. We demonstrate this potential through selective analyses of the letters of the Chief Executive Officers of Enron, Starbucks, and General Motors. Allison, M.: 2007, ‘Union Struggles to Reach, Recruit Starbucks Workers’, The Seattle Times, January 4, http://seattletimes.nwsource.com/html/businesstechnology/2003505497_union02.html?syndication=rss. Retrieved 24 January 2009. James, C.: 2008, ‘The Pulpit Wouldn’t be so Bully Without Them’, The New York Times, May 2, http://query.nytimes.com/gst/fullpage.html?res=9401E3D7133FF931A35756C0A96E9C8B63. Jones, D.: 2005, ‘Using the Web to Rebuild Trust in CEOs’, IR Web Report, January 26, http://www.irwebreport.com/perspectives/2005/ceosonline.htm. Race, T.: 2002, ‘New Economy Executives Are Smitten, and Undone by Their Own Images’, New York Times, July 29, www.narcissisticabuse.com/nytimesarticle.html. Accessed 4 November 2004.